Taking care of mental health is as important as taking care of our physical health. Your mental health plays an important role in the building who we really are. It affects our social well-being, emotional and psychological well-being. Your mental health helps you to cope up with anxiety, stress, and depression. It is important to take care of it since childhood. If ever you experience difficulty in controlling your mood, your anxiety and stress you should seek help before it deteriorates. Fighting with your loved ones or losing temperament. Staying away from things that you once loved to do. The moment you feel any of these to be true or have seen a loved one dealing with the above-mentioned points, then it’s time to take care of your mental health. Here, we will talk about the things that you can do to feel better and cope with it. We can only guide you to have a good life. Because human lives are valuable and your life means something to people who love you. And if it is someone you know who is having a hard time to cope with it, then you should help them to make them understand how valuable they are to you and if need be you can also take them to a good mental health counsellor who can help them to get better. If you ever need any medical attention and feel that money is the constraint, then make use of Netmeds paytm offers. Money is also one of the biggest reasons why we feel low. So, make the best use of these offers and don’t worry about it. If you think that sharing your thoughts with someone you love is a sign of weakness then you are wrong. Get out of your comfort zone of not opening up to people. Your life is as important as it is to you as it is to them as well. Call someone and let them know that you feel different. If one word won’t explain then use as many of them as possible. You don’t even need to make sense, just letting out your feelings will release a lot of stress from your mind. Don’t push away people from your life, especially the ones who call you on a daily basis just to know if you are alright. They call you because they care. Just let them know that you feel different or low. Let the conversation start first and let it flow. A lot of stress gets released when we open up. Start sharing. Staying fit doesn’t mean you have to go to a gym to do some workout. Staying fit also includes 30 minutes’ walk in the park or doing household chores. If you start doing that, you will see some noticeable difference in your body. A difference that is good for you. A healthy diet plays an important role in keeping a healthy mind. The better you eat the better it is for. To maintain a healthy mind, you need a mixture of nutrients. Follow a diet, which is full of green leafy vegetables, nuts, and grains. Take as much as dairy products you can and drink a lot of water, water helps to detoxify your body. Make sure to drink a lot of it. Your friends and family play an important life in giving you support to live a good life. Try to engage yourself in a social gathering which will let you meet new people and learn new things. Surround yourself with good people who will listen to you and will help you to get better. It is good to give yourself a break in between. Taking a break can be a 5 minutes break which can help you to destress you to an utmost level. Take deep breaths when required, let it rest when your body says so. Take a power nap or sleep for an hour. All these little things can do a great lot of good things to your mental health. When our mental health goes for a toss, we start doing a lot of unhealthy stuff to ourselves which ruin our mind more. Try to engage yourself in meditation. It will help you to relax. It lets you speak to your inner-self and evaluate what is causing the stress, anxiety, and depression. Once you know it, you will be in a better position to deal with it. People often tend to get attracted to alcoholism and drugs to de-stress themselves. They think that this will help. However, it doesn’t. Drinking once a while is fine but not good if you do it regularly. Drinking and taking drugs cannot be a solution for your mental health issues. The reality is, we are all different. Our personalities are different from one another and there is no harm in being different, moreover, that’s what makes us “us”. Start accepting yourself. Love yourself. Only you have the leash to tackle the life you have been gifted. Treasure it. If ever you feel that you are getting out of control or nothing is able to change how you feel, seek for help immediately. Your life is valuable. Don’t feel ashamed. Talk to a professional and make sure to deal with your problems by facing them courageously. Only you know what you are going through. Only you can take care of your life. If ever you feel the need of a professional, try taking help from Indian health Organisation. Speaking to a specialist may save you from doing something drastic. But, remember it is you who can take care of yourself and you are important to many people. ← What are things to be considered before buying the first home ? 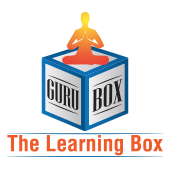 Thanks GuruBox for sharing information about Mental health. Our mental health affects all aspects of life. Mental issues are very common and need to pay attention. thanks for sharing the tips. Yes Mental health is very important part of life. Mental health is very important not only for the affected persons and relatives, but also for the economic well-being of nation.You have done a good job. Thanks Madhab for reading n comments…yes Mental is health is need to look after. thanks jee for comments and reading. nice explained..definitely mental health . .is more important..
Nice article, Sleep is not mentioned in the article. You nicely point out the “early sign of warning”. Meditation is a good for mental health.